As forest fires near the Chernobyl nuclear plant threaten a major re-release of radiation, international donors have secured €180mn for the construction of a new sarcophagus, thus narrowing the funding gap for the project set to be completed in 2017. At an international conference that took place in London on Wednesday, the G7 and European Commission have confirmed their €165 million contribution to the Chernobyl Shelter Fund, while other countries added €15 million, accompanied by promises of future contributions, according to the press release of the European Bank for reconstruction and development (EBRD). The funds received, while reducing the gap to €85 million, will contribute to the continuation of the works in Chernobyl, located in the north of Ukraine. The protective shield over the collapsed nuclear power plant would be completed by November 2017, and its overall cost is estimated at €2.15 billion. “We are very pleased with the outcome of this conference and grateful to all donors for their contributions at a time when national budgets are tight. 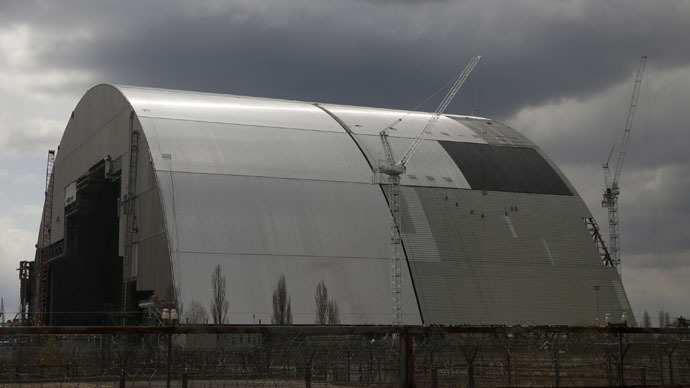 The additional funds will allow us to keep the project on track and gives us confidence that the New Safe Confinement can be delivered on time and on budget,” added EBRD President Suma Chakrabarti. The Chernobyl Shelter Fund was organized in 1997 to help Ukraine cope with the consequences of the April 26, 1986 accident. The explosion at Chernobyl’s Reactor 4 is still considered to be the world’s worst ever nuclear accident, affecting not only northern and western Europe, but also the east of the US. The make-shift “sarcophagus” was created six months after the accident, destined to become a radiation shield. But its durability is believed last a maximum of 30 years, so it is set to be covered by a new one. New Safe Confinement is going to be the “largest moveable land-based structure ever built” with a weight exceeding 30,000 tons, according to the press release. Its construction started in 2010, while its lifespan will be over 100 years. Scientists hope that the new shelter will ease radioactive waste management, and aid in the future dismantling of the old shelter.